In 1918, Ed Barrow was named manager of the Red Sox and led them to a World Series victory. 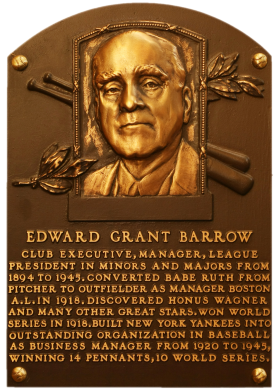 Credited with transferring Babe Ruth form the mound to the outfield, Barrow followed Ruth to the Yankees. 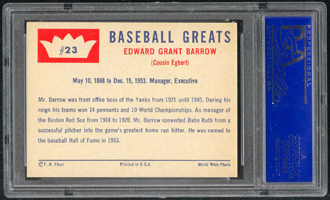 Under "Cousin Ed's" direction, the Yankee dynasty became legend. He was in charge of the Yankees from 1920 to 1947. 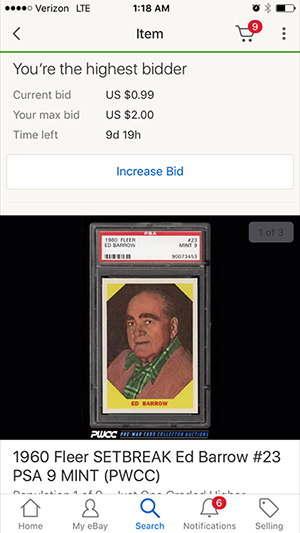 Comments: I added this PSA 8 in May, 2005 when I won a Mark Irodenko / Outfield Sports eBay auction. 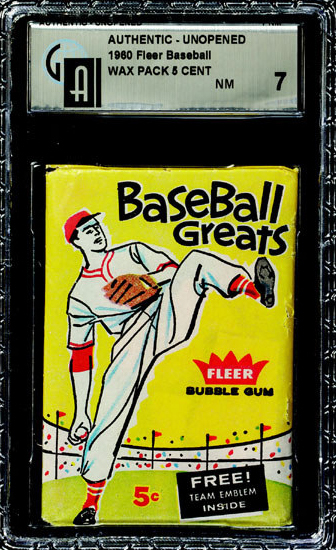 UPDATE: In May, 2014 a PSA 10 showed up on eBay with a BIN of $1200 from 4 Sharp Corners. Unfortunately, the price was too steep for me. Somebody disagreed because within a couple weeks the card was sold and no longer available - oh well. The search for an upgrade continues…. UPDATE: One on my saved eBay searches kicked back a hit the first week of December, 2014. 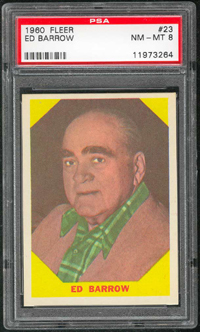 4SharpCorners was selling a PSA 9 for $449. Tempting....but just too much. SMR lists the card at $60.